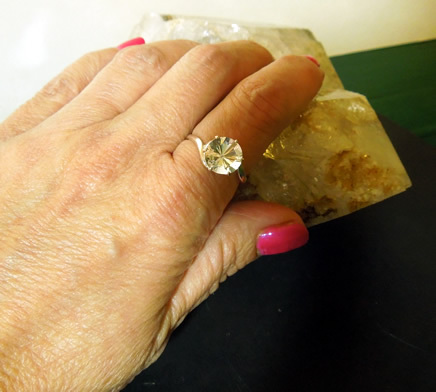 Notes: A sparkly clear cut Herkimer Diamond crystal in the brilliant round shape is beautiful in this solitaire ring. 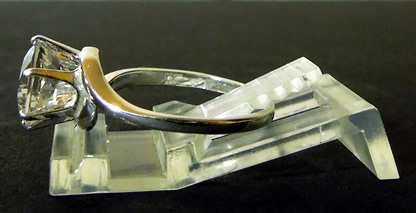 The 2.5 ct. gemstone measures 9x9 mm. 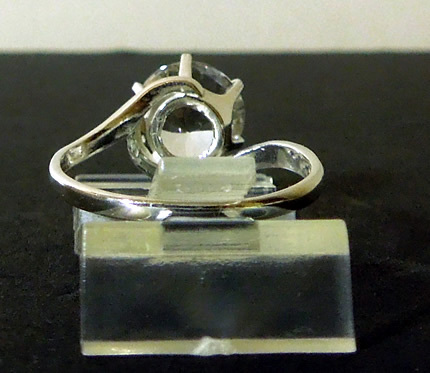 It's set in a sterling silver offset size 8 ring setting. 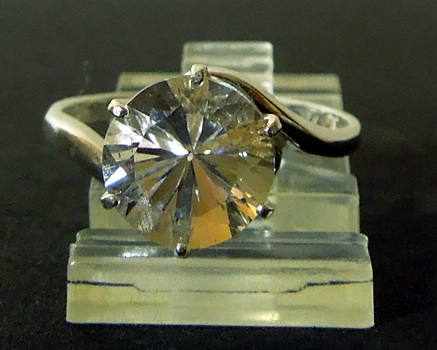 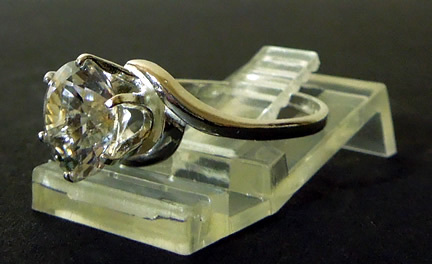 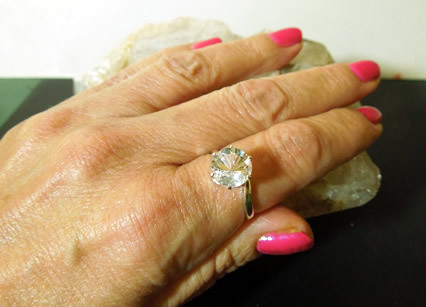 A sparkling Herkimer cut crystal in an offset solitaire setting.